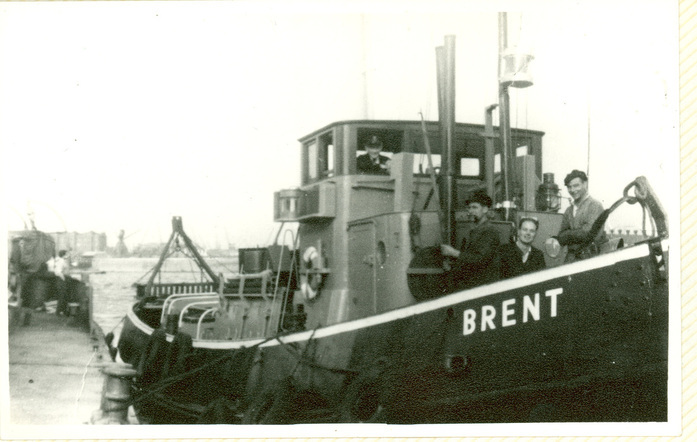 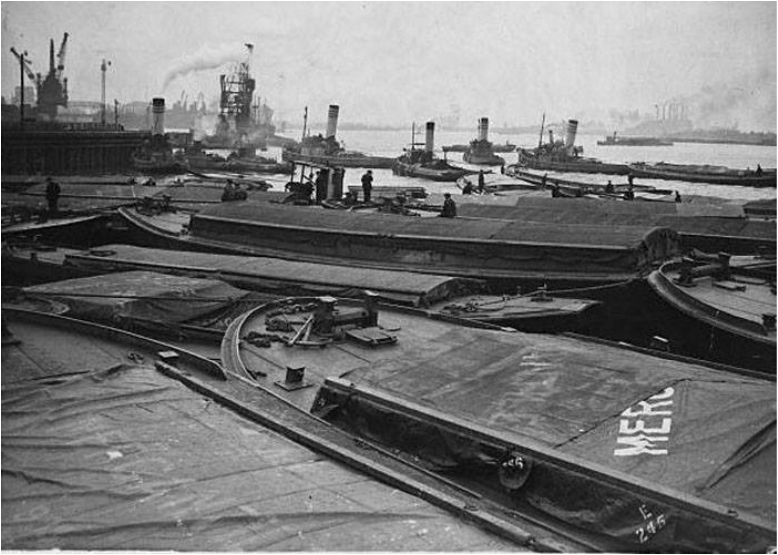 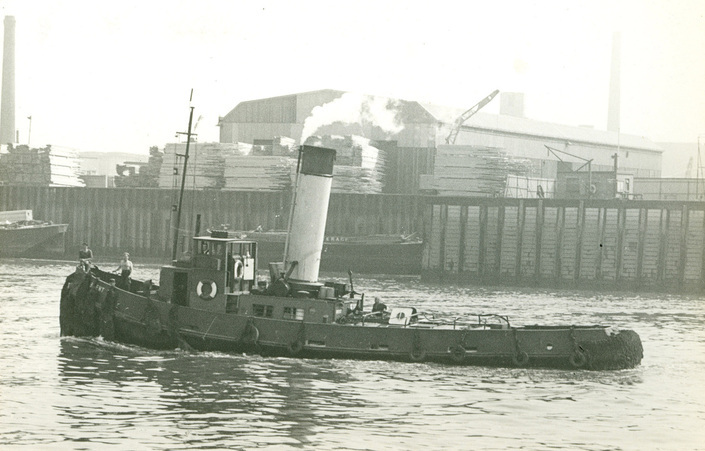 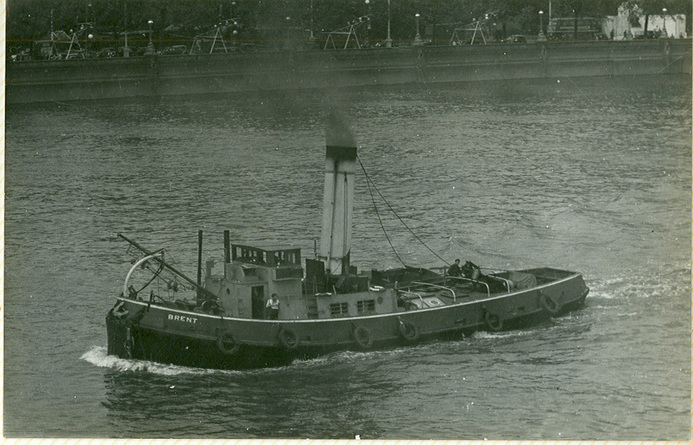 Brent in her working days with the Port Of London Authority. 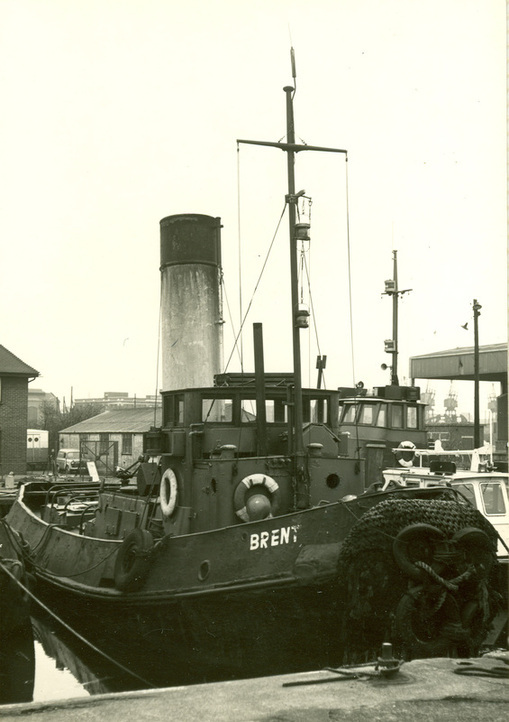 We are always interested to hear from any one who remembers her or has photographs of her in service. 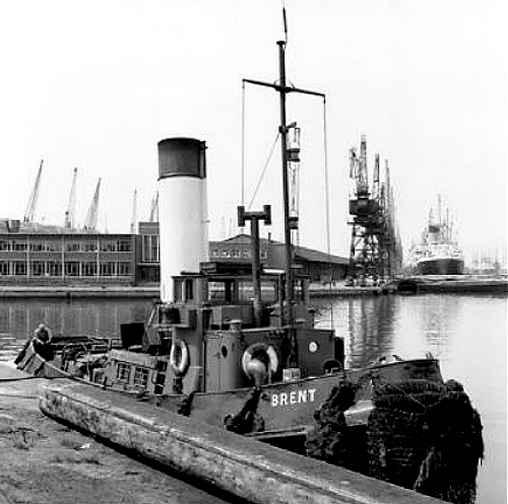 Brent in The Royal Albert Dock. 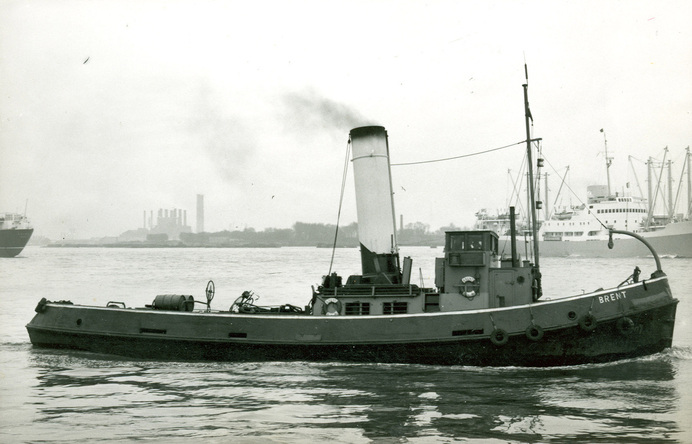 1963?